BIGFOOT ATTACKS CAMPERS! 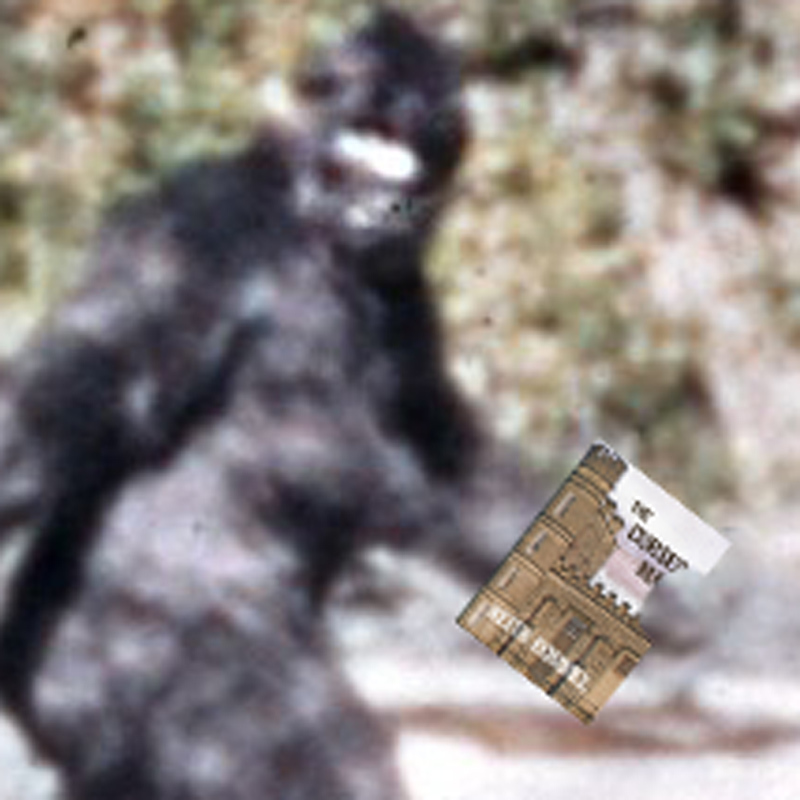 Ape Man runs off with bestselling novel! Fort Bragg, CA — Residents near this northern California town were stunned to hear the tale of four young campers who had been hiking in the nearby redwood forest. About 12 miles east of town, they had settled in for the evening, playing guitars, reading and smoking a little medicinal marijuana, when they were attacked by a large hairy ape-like man who ransacked their camp. “Ahhh Brahm — he’s dreamy,” said Skye. 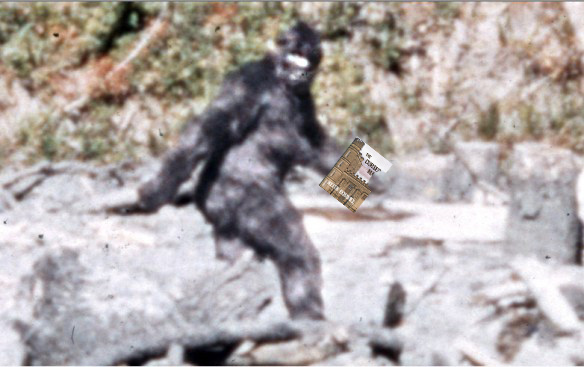 Fortunately, she was able to snap a photo of the creature with her iPhone as it was running off with the novel. According to Sunbury Press publisher Lawrence Knorr, the beast was estimated at ninety inches tall. Close up of the Bigfoot near Fort Bragg California that stole a novel. The question that remains is why did the beast attack? And why on earth did he steal a copy of The Cursed Man by Keith Rommel when he could have nabbed food or more practical items. According to George Grossfuss of the Bigfoot Research Center in Yakima, Washington, this was not the only instance of literary theft by these large simians. Oddly enough, all were bestselling books about to become movies! This entry was posted in hooks and tagged brahm gallagher, keith rommel, Lawrence Knorr, sunbury press, thanatology series, the cursed man. Bookmark the permalink.